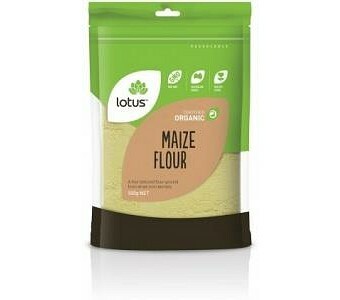 Lotus Organic Maize Flour is a fine textured flour ground from dried corn kernels. Ingredients: Organic Milled Maize Kernel. No Preservatives or Additives. Certified Organic by ACO.